The long awaited Dog hosting of a D.T.W.C. whisky night took place at Bondi in mid October 2012. It was three years in the making and rather than using the somewhat rudimentary and limited facilities at the Cave, the Dog convinced all that the event be held in the apartment of the latest addition to the D.T.W.C. clan - The Proxy. This was an unprecedented move by The Dog that resulted in a spectacular night of whisky drinking and fine food that was enjoyed by all. The choice whisky for the evening was a Glenglassaugh 26yo from the previously mothballed Highland distillery of the same name. The Glenglassaugh distillery was closed in 1986 and only recently purchased and re-opened in 2010 under the ownership of the newly formed 'Glenglassaugh Distillery Company Limited'. 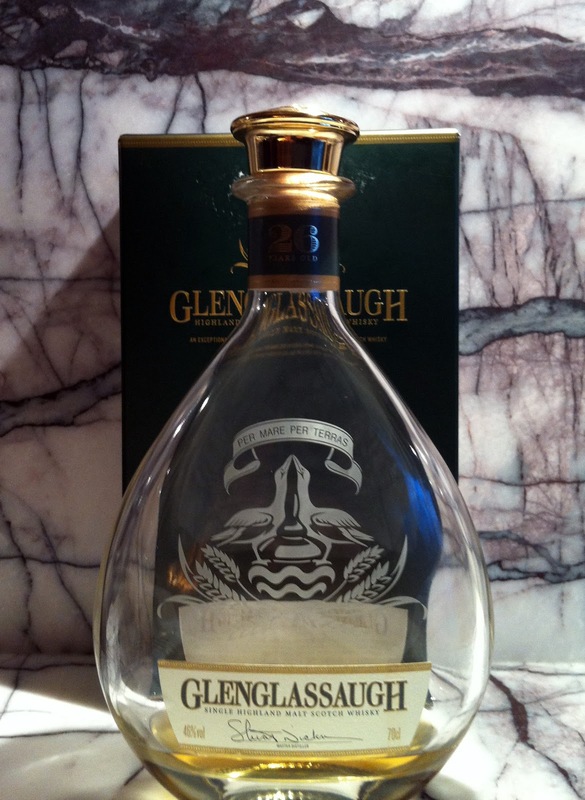 The Glenglassaugh 26yo is a marriage of of casks filled in 1983 under previous owners. The nose was a lovely mélange of cereals, wood spice, honey vanilla and wood. It also revealed hints of lemony or citrus peel. One member even felt there was banana involved. A yummy and complex dram. Really lovely, and makes you come back for more. Alas the bottle finished all too quickly. 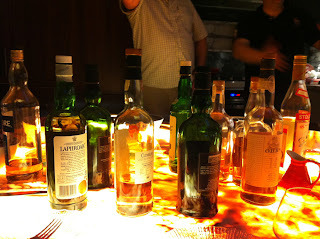 Luckily there were many other fine whiskies on the table and The Proxy was sporting enough to even open the bottle of the new and limited release Ardbeg Galileo. Much like what was happening with Bruichladdich when it was reopened, older casks of a previous era are being bottled and sold with only very recent and young releases of new whisky now hitting the shelves. This bottling is a bit of history that will soon pass so if you are interested in a sample there is still time to grab a bottle. In terms of food, the Proxy designed a lovely three course feast opening with a Salmon Gravalax, followed by Beef Cheeks and an Eton Mess for desert. Indeed the D.T.W.C. has come a long way from exploding hot dogs in the inaugural event in 2009. 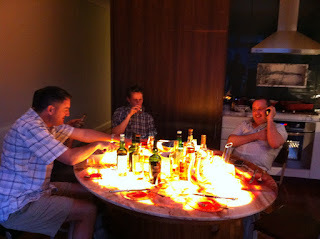 The end of the night saw a palpable sense of relief as the obligation and willingness to host a D.T.W.C. event has been plaguing The Dog for some time now and has now been fulfilled in a successful manner not even he could have imagined. Many thanks go out to the Proxy for his involvement in the food preparation and provision of facilities which allowed the Dog hosted event to take place.